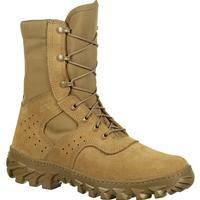 Military boots weigh less than 15 ounces each! 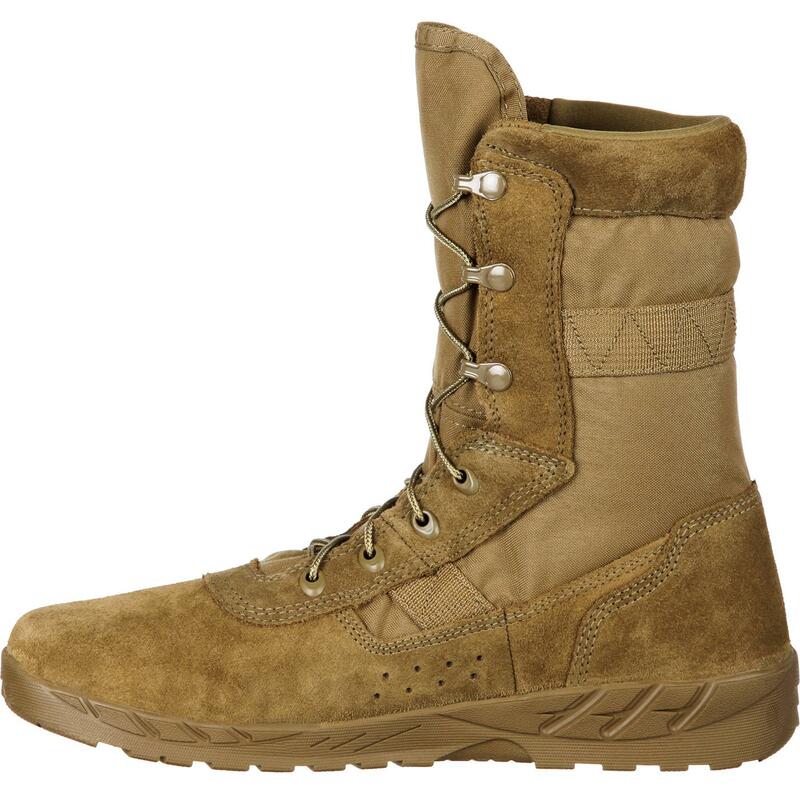 The Rocky® C7 CXT Lightweight Commercial Military Boot was designed by soldiers for soldiers, giving you superior lightweight performance. 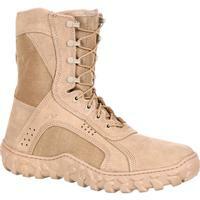 It has all the features you need and is a comfortable military boot. 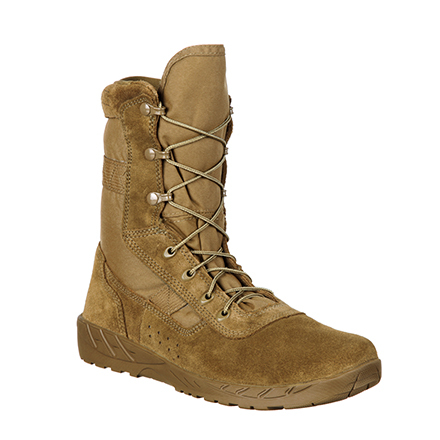 Rocky made this an extremely lightweight boot. 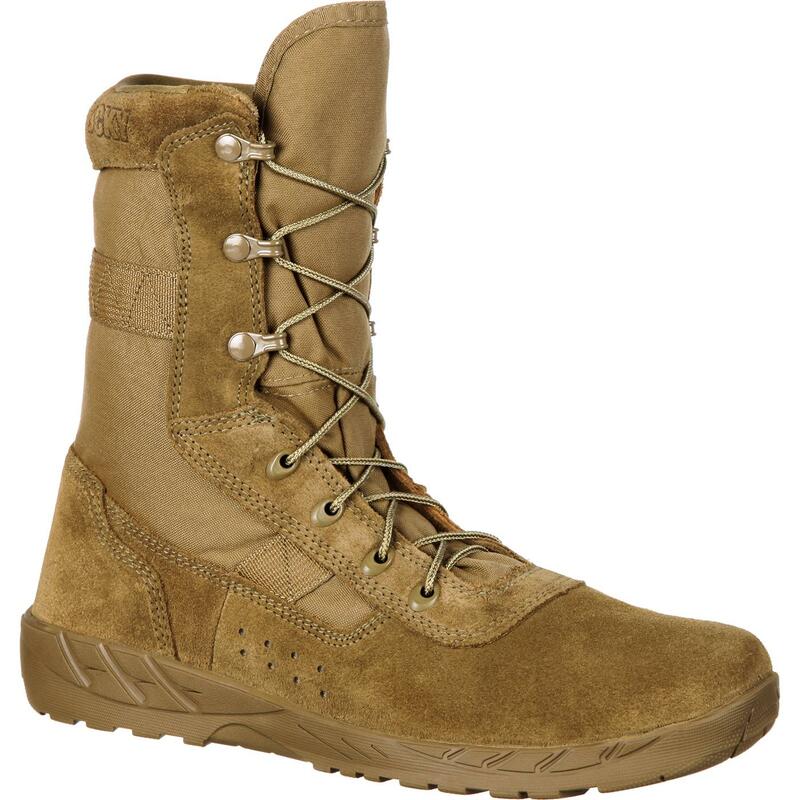 Each boot weighs less than 15 ounces because Rocky knows that "Ounces Equals Pounds". 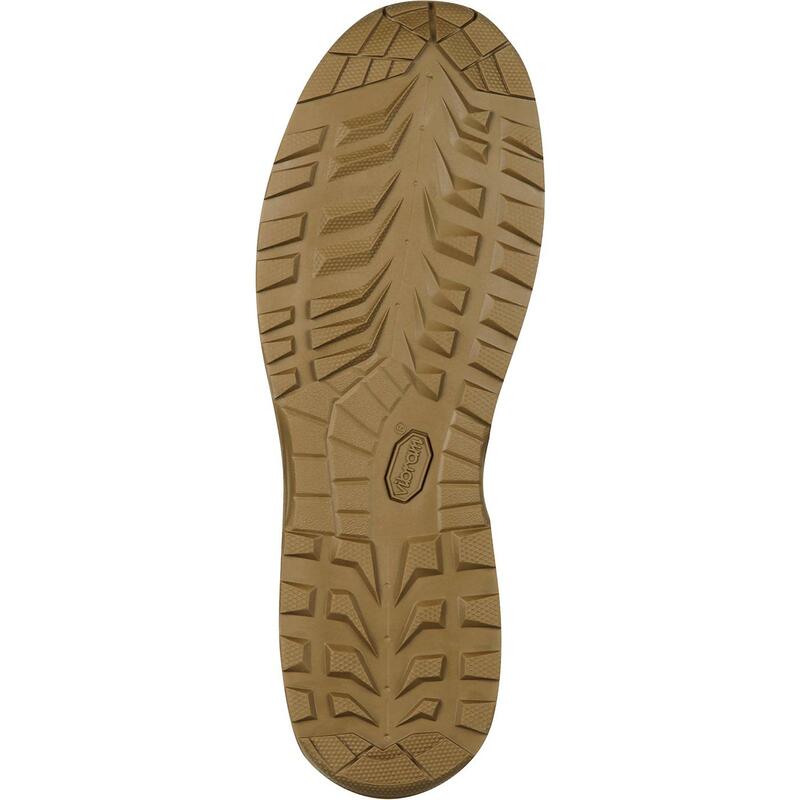 This coyote brown boot is uniform-compliant and GSA/TAA compliant. 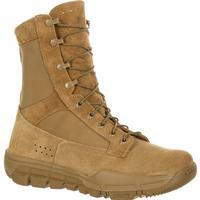 The men's military boot is designed for great durability. 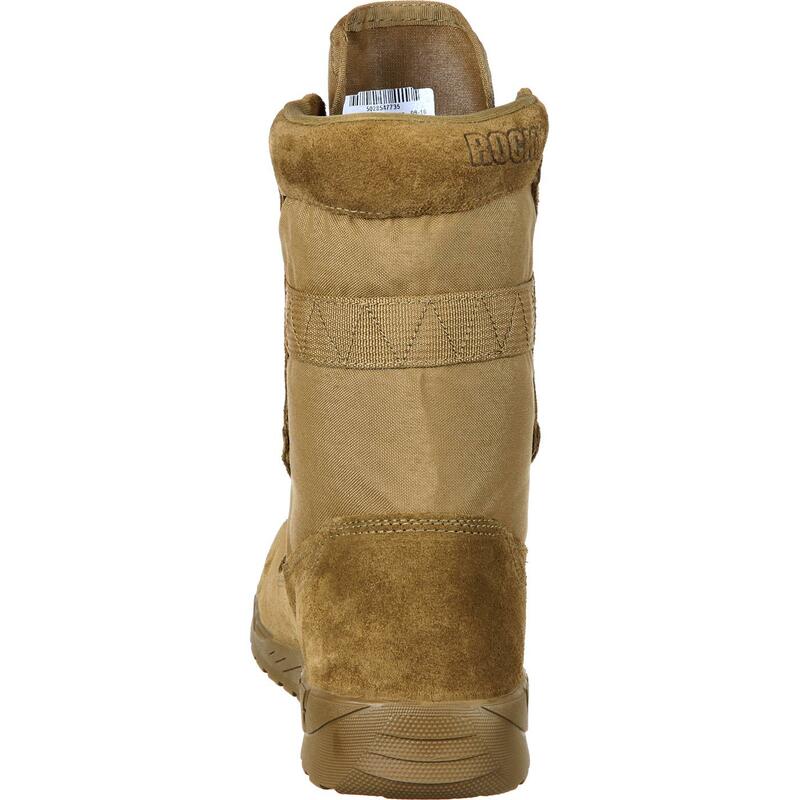 It has triple-stitched construction so it stays together through wear and tear, day in and day out. It also is very flexible and gives your foot the support you want. 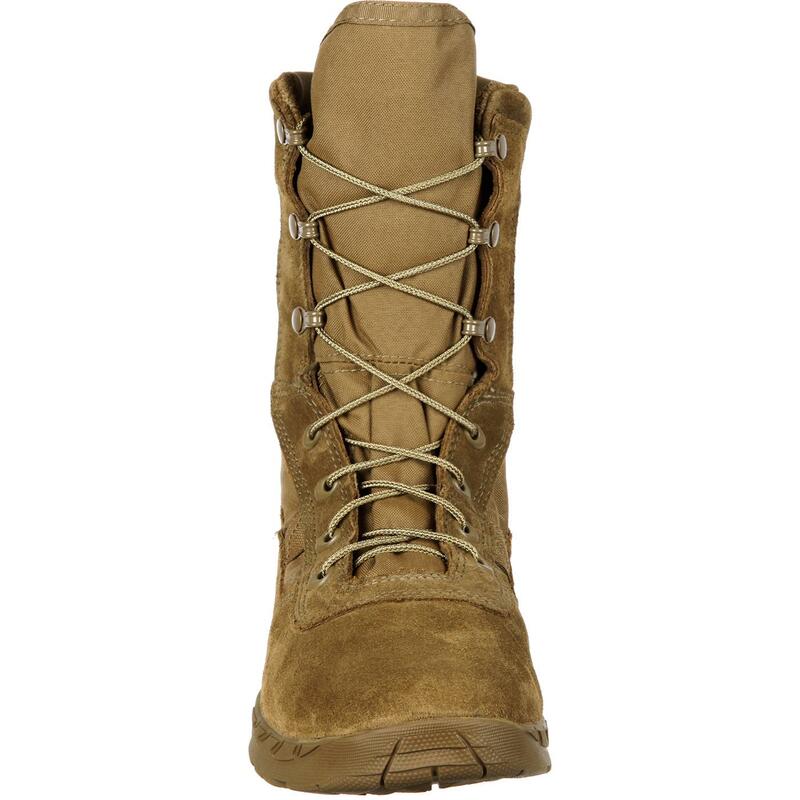 Speed lace eyelets and NATO hooks mean you get your boot on fast and they stay secured. 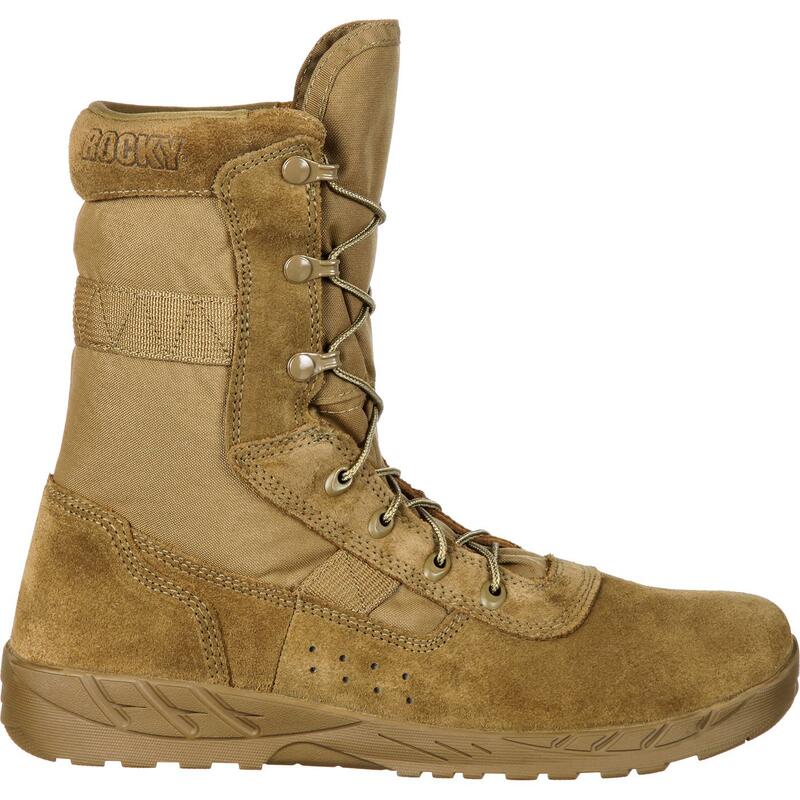 Rocky gave this C7 CXT boot a lightweight Vibram® rubber outsole for performance and comfort. You wear your combat boot for endless hours, so make sure they're comfortable. 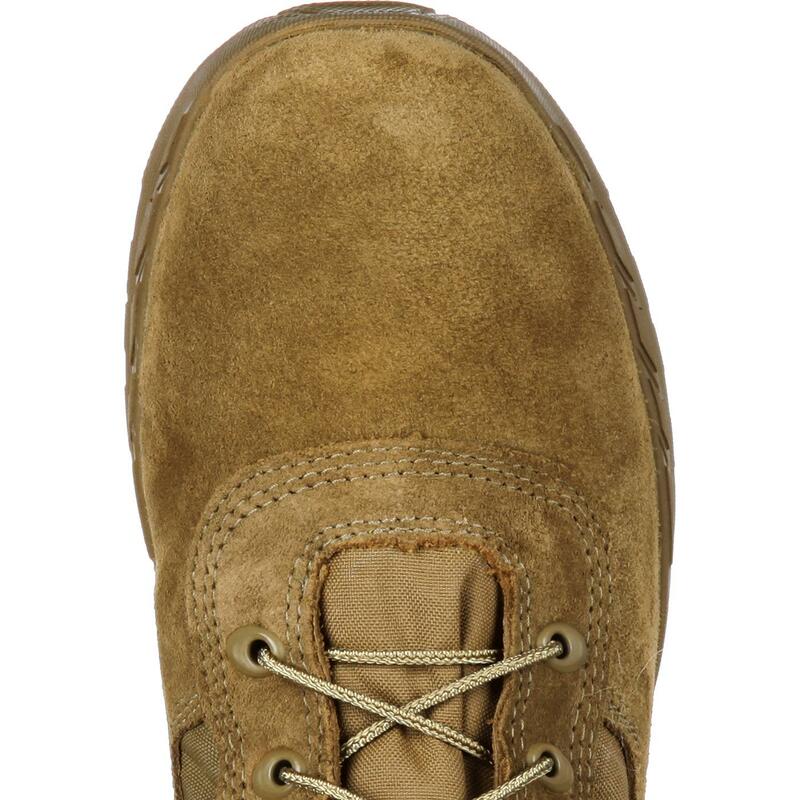 This footwear has an ultra-comfortable Ortholite® memory foam footbed. There's also a padded collar. Superior breathability keeps your feet cool. 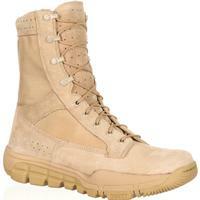 Constructed with flesh out cattle hide leather as required by AR670-1. 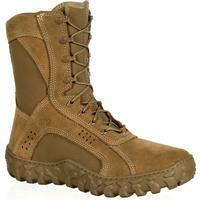 Rocky Boots® created the C7 military boot to ensure that as you protect our freedom, you project Confidence in Action!